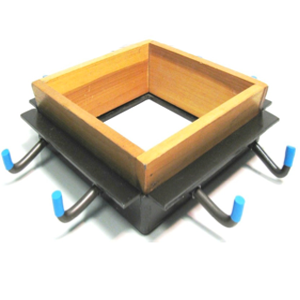 The Pourover Frame assembly gives support to floor openings and also creates support for a poured concrete cover or metal closeoff. The flanged edge and mounted anchors allows it to embed firmly into the concrete floor. 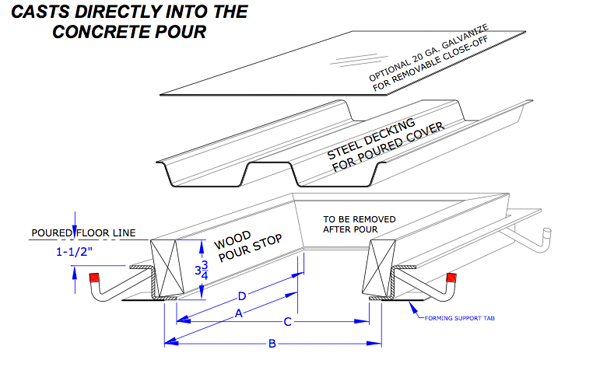 The provided wood pourstop creates a concrete stop to prevent wet cement from entering the unit. 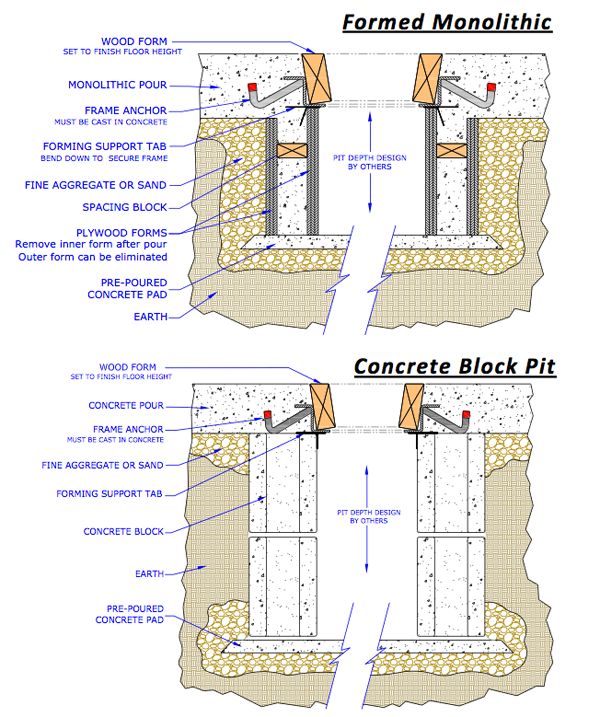 The provided blocking is designed to allow for a 4″ poured cap if it is to be used. The pourstop has been designed with a 10 degree taper, this helps avoid settlement of the cap at a future time. 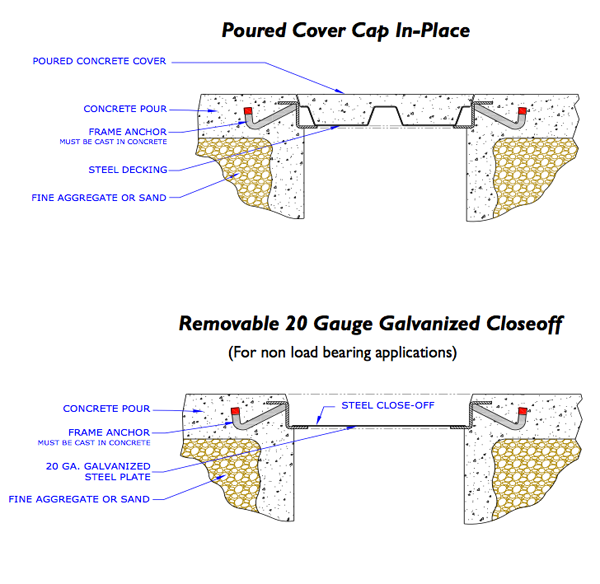 Covers available are 22 gauge galvanized ribbed decking , (concrete pour), and 20 gauge galvanized steel closeoff. Maufactured sizes shown. Custom sizes also available. Interior Width or Length of Inside Wall of Field Formed Pit "A" or "B"
Actual Size 10" 15-15/16" 21-7/8" 27-13/16" 33-3/4" 39-11/16" 47-5/8"
Width or Length of Inside Wall of Field Formed Pit "A" or "B"
Actual Size 51-9/16" 57-1/2" 63-7/16" 69-3/8" 75-5/16" 81-1/4" 87-3/16" 93-1/8"
Interior Width or Length of Frame Opening - "C or "D"
9-7/16" 15-3/8" 21-5/16" 27-1/4" 33-3/16" 39-1/8" 45-1/16" 51"
56-15/16" 62-7/8" 68-13/16" 75-3/4" 80-11/16" 86-5/8" 92-9/16"